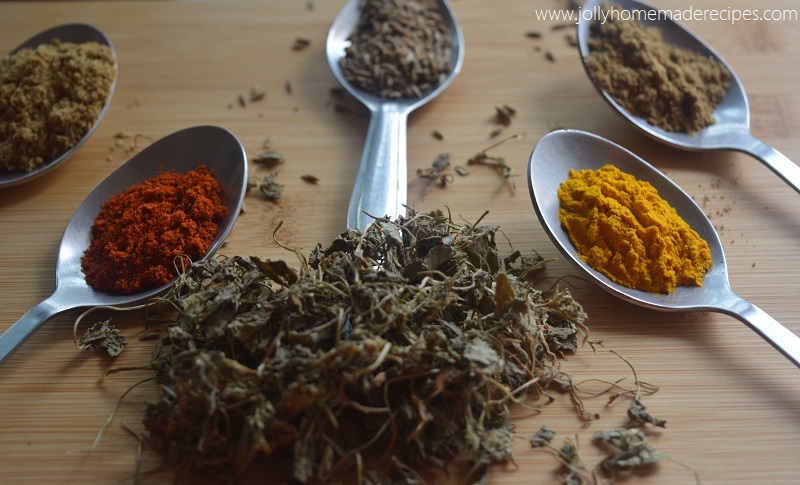 A quick, easy and flavorful "Homemade Tandoori Masala" powder using with fresh organic herbs and spices. It has a unique flavor of taste and a fresh aroma also. Tandoori masala is an important ingredient in Indian dishes. It is a blend of spices, specifically for to use of marinating the chicken, potato, meat, fish and so many. Now, you need not to be buy it from market, you can make it at home with fresh spices and store in an air-tight container. You can use this masala with up to 2 months. Till 2 month, it stays fresh. The general idea is to mix tandoori masala in yogurt to make a flavorful marinade which has an authentic taste to your dish. This masala can be used in many tandoori dishes like Chicken tikka masala, Tandoori Potato Wedges, Butter chicken, Paneer tikka or you can use any barbeque / tandoori dish. Let start this easy and flavorful recipe of tandoori masala powder at home using fresh indian spices. 1. Mix all the ingredients and blend in a blender. 2. Store it in an air-tight container. It stays fresh for up to 2 months. 3. You can use Tandoori Masala powder, when required. Flavorful masala ...... Thanks for sharing dear!! Flavourful and a very important Masala as it enhances the flavour of many a tandoor, Barbeque & grilled dishes. The best part, it is home made with the choicest of ingredients and with no preservatives added it is just too good. Wonderful share dear. bookmarked this recipe. Going to make for my son to take to Canada. Excellent share. Thank you so much Jolly. Looks perfect and flavorful. Bookmarking. I am getting the aroma till here... oh this must be amazing! 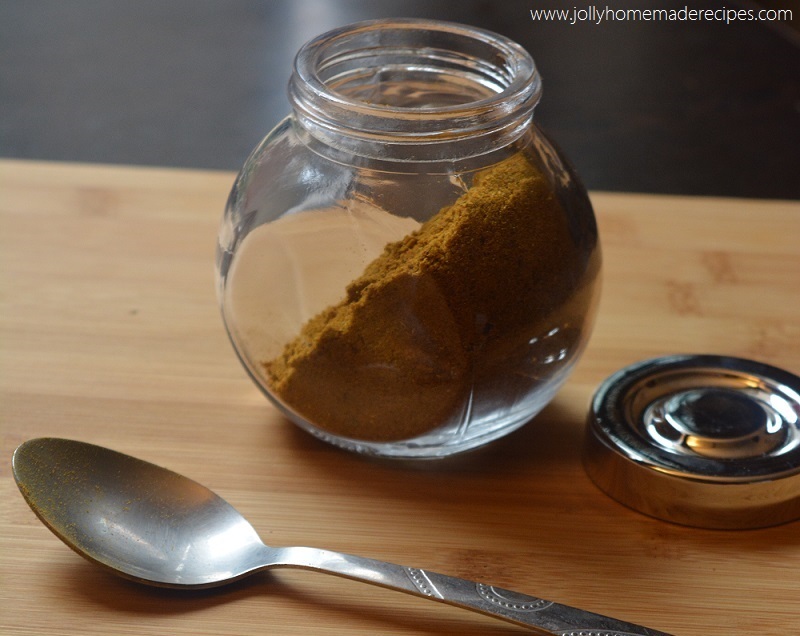 Very flavourful and interesting share, nothing can beat homemade spice powders. Tandoori masala rocks. 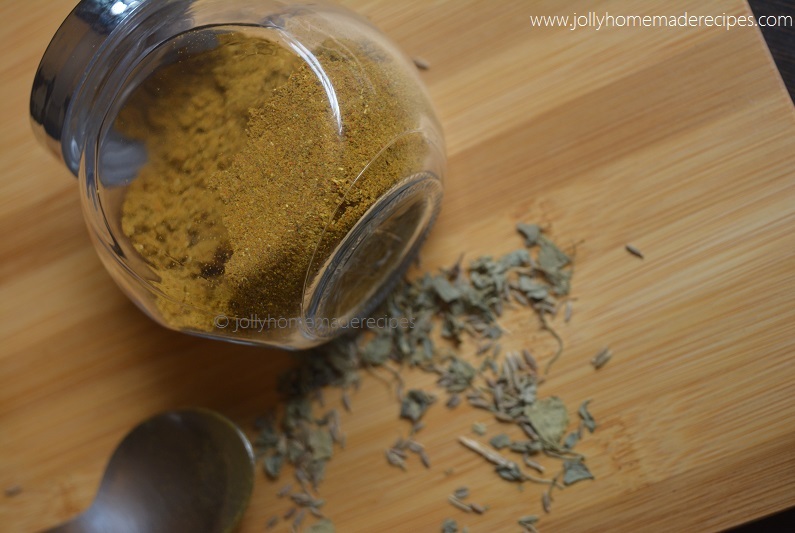 This is a very useful post.. nothing can beat the home made spice powders. 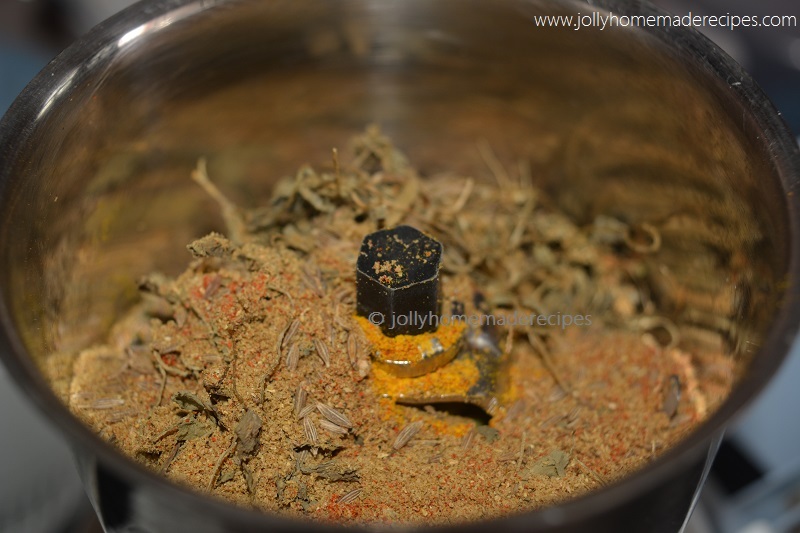 Flavourful Masala and very useful recipe post.. Thanks for sharing ! Wow, thanks for the recipe will bookmark it. A must masala in Indian cooking. Home made masalas are always the best, and this recipe of tandoori masala sounds awsome, thanks for sharing. Jolly, thankyou. I was debating if I should buy a pack and now I don't have to. 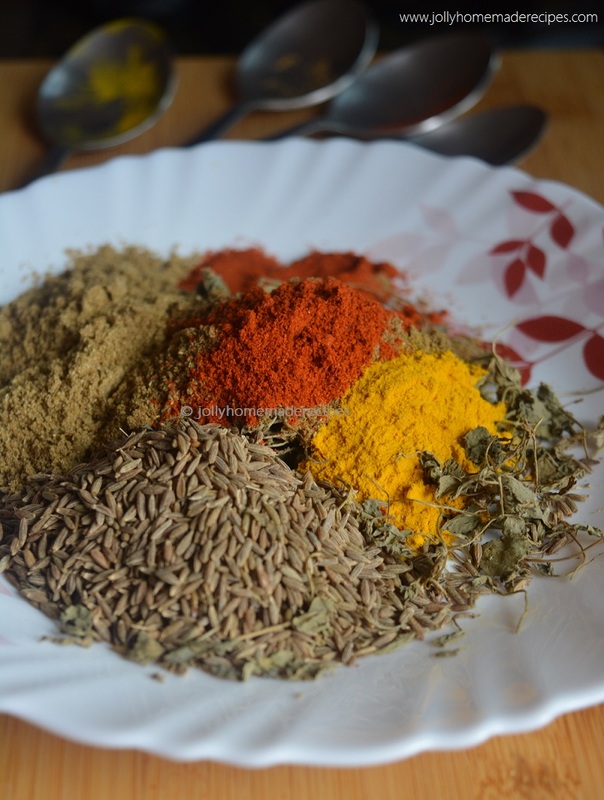 I love tandoori masala and it's aroma, perfect to cook any BBQ dishes and so simple recipe to follow. 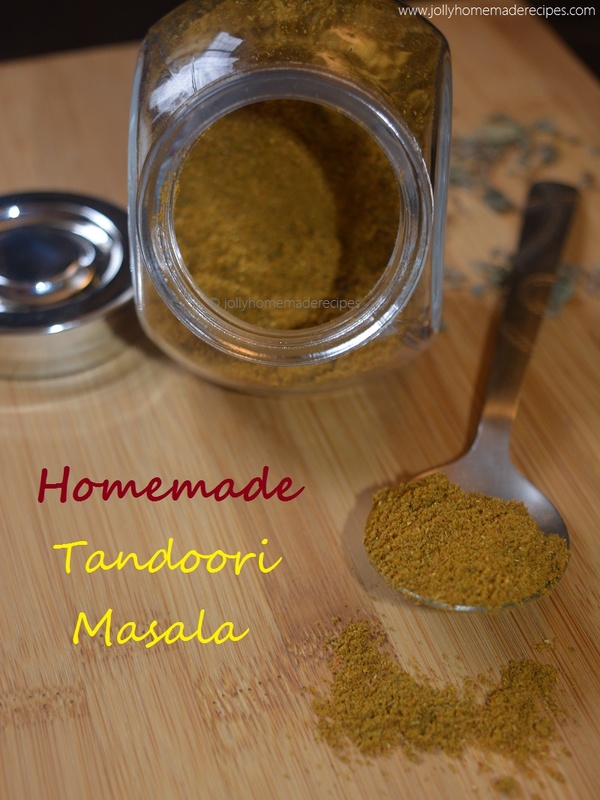 Homemade tandoori masala is a wonderful idea as the home made ones always taste better than the store bought ones. I always keep a batch of it handy in my pantry. Very useful share, jolly. Cant wait to try it. Thanks for sharing. Home made masalas are the best, they are aromatic and fresh. Nice share.